In May 2017, the drug edaravone was approved for the treatment of ALS in the USA (trade name: Radicava™). With regard to Germany, single orders of edaravone may be imported via international pharmacies in accordance with § 73 of the German Medicinal Products Act, thus making the drug readily available. This option applies until such possible time when edaravone is granted marketing authorization for Europe. Edaravone is currently available as intravenous infusion only. Treatment with edaravone is divided into treatment cycles of 28 days each. One cycle comprises 10 days in a 14-day period on which edaravone is administered daily via infusion, followed by a treatment-free period of 14 days. In view of the import procedure and the need for continuity in the edaravone infusion therapy regime, the associated effort in terms of time and logistics is expansive. The Edaravone Management Program (EMP) supports patients and doctors in the complex administration of the medication in an outpatient setting. Once a doctor for neurology has decided to administer edaravone to their patient an application form is submitted to the health insurance company for cost coverage. Once cost coverage has been approved, the next step is to get edaravone imported and organize the outpatient infusion therapy. Therefore it is crucial that all parties involved coordinate their actions carefully. EMP liaises between and supports physicians, pharmacists, patients and their relatives before, during and after treatment with edaravone. Through EMP, data on the import, logistics, care provision and disease course are captured via the internet platform Ambulanzpartner and made available to everyone involved. Participation in the EMP means that edaravone therapy prescribed by the doctor is sent direct to the patient’s home so they do not have to make their way to the pharmacy. The timed import of the medication allows for continuation and reliability in the administration of edaravone therapy. Thus, EMP facilitates a uniform and effective outpatient treatment with edaravone nationwide. In the EMP, the ALSFRSr and other patient self-rating data are captured and structured. Patients are invited on a regular basis to fill in the ALSFRSr via telephone or online. The ALSFRSr history furnishes us with important information on the treatment and care provision needs of any patient. Furthermore, pseudonymized ALSFRSr scores are provided to academic research institutions and research companies. This procedure is designed to resolve any outstanding research questions and issues with regard to edaravone. Question: You are currently taking edaravone. We would like to ask you to tell us how likely you would be to recommend edaravone to a friend (m/f) or colleague (m/f). Fig. 4: Patient rating for edaravone. 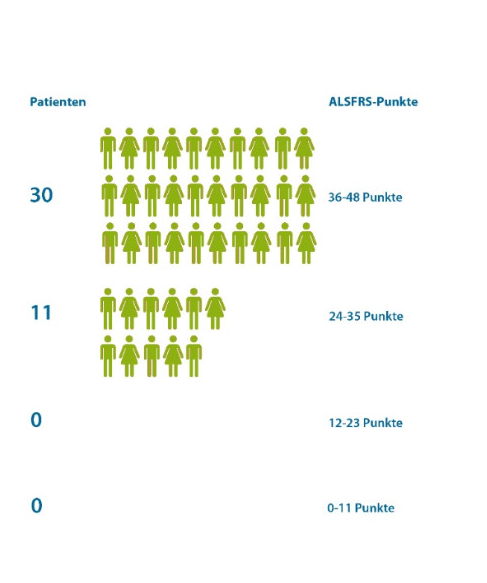 Total number of participants: 30 patients with ALS. 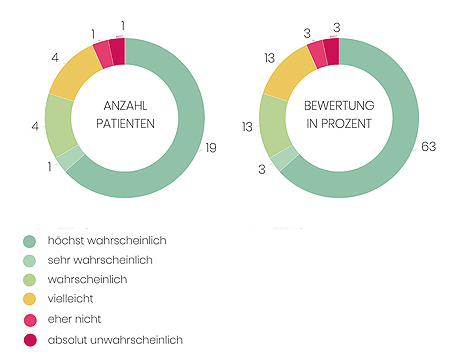 Source: Ambulanzpartner Register Study, Status 09/01/2018. How to take part in EMP? 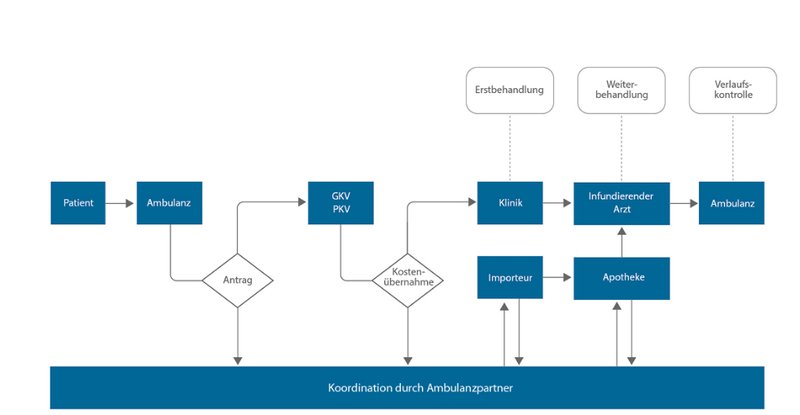 If you like to take part in the Edaravone Management Program, you can reach us via telephone (030-81031410) oder via email (koordination@ambulanzpartner.de).